Only Juventus, fifth now, can beat Atlético in the UEFA ranking before the end of the season. The mattress team is fourth at this time. El Atlético will not be able to play this season's Champions League final in their stadium. He failed to reach the Wanda Metropolitano on June 1, but will finish the course, for the fifth time in a row, among the top five teams in the continent by UEFA ranking. 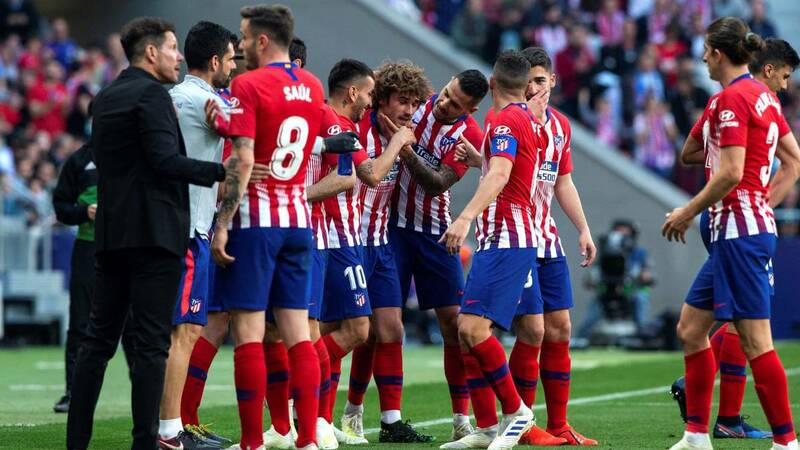 Juventus, precisely the opponent who got the Cholo team out of the Champions' quarter-finals, is the only one who can still beat an Atletico who is fourth in the standings at the moment. The mattresses total 127 points, three more than the Vecchia Signora. Third is Bayern Munich, with 128, another team already eliminated from the competition. Second in the UEFA ranking is Barcelona, with 133, 13 of Real Madrid, which is the leader. El Atlético can no longer fall further of the fifth place. Sixth is Manchester City, to which the Atletico club leads by 20 points. The classification measures the regularity in European competitions during the last five seasons, a mattress reliability that has had a prize and that continue to place it among the most important clubs in the continent. In 2015, Atlético went from seventh to fifth and, since then, has rubbed elbows with the best five each year. That season Cholo's team stayed in the quarterfinals of the Champions League, after having led their group ahead of Juventus. At 15-16, Atlético climbed a step. Finished the fourth exercise, after having fallen in the final of the Champions against Real Madrid on penalties. The following year he successfully defended that position. Atlético returned to finish fourth in the UEFA ranking, after reaching the Champions League semifinals. Ese becoming the maximum continental competition, added to the title in the Europa League last season, allowed the club rojiblanco to return to take another leap in 2018. Atletico ended up being the second team by UEFA coefficient, only behind Real Madrid. This campaign, whatever happens, will not fall from that fifth position in the accumulated last five years. Respected and feared, Atlético, led by Simeone, has been placed among the greats. So much that already to see fall to the superchampion of Europe in eighth of end against a powerful club like Juventus seems to know little. La reliability also gives economic benefits. Thus, Atlético have concluded their participation in the Champions League this year with a significant amount of money in their pocket. To begin with, appearing as fourth in the UEFA historical ranking of the last ten years has allowed him to enter a fixed amount of 32 million. To them, we must add the 36.45 million that has been taken in prizes for the performance of the from Simeone on the field.